Professor Eyesan is a consultant orthopaedic surgeon and Chief Medical Director of Bowen University Teaching Hospital. He specialises in Orthopaedic oncology and has been involved in the teaching of the orthopaedic residents for over 20 years. 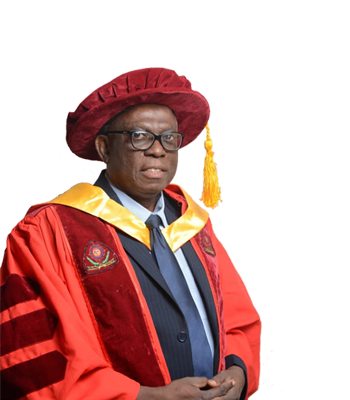 He graduated from the College of Medicine, University of Benin, Edo state, Nigeria in 1982 then went to the National Postgraduate College of Surgeons, Nigeria in 1993. He later proceeded to the International Cancer Technology Transfer Fellowship (INCRET) in 1999 and gained more training at UICC at the Karolinska Hospital in Stockholm, Sweden in 2000. 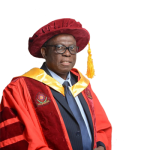 Professor Eyesan is a fellow of the Medical College of Surgeons of Nigeria (FMCS ORTHO) and a member of the International Society of Orthopaedic Surgeons (SICOT). He is also a life member of the Association of UICC Fellow (AUF). Bachelor of Medicine, Bachelor of Surgery. UICC INCRET Fellowship Grant for musculoskeletal oncology in 1999 – 2000 dollar (accommodation /feeding for 3months) at the Karolinska Institute in Stockholm, Sweden. UICC Travel Grant – (Congress registration) to attend the UICC World Congress in Washington – 2006. Had a presentation at the congress. AORTIC Travel grant (Accommodation and Registration) to the AORTIC Congress in Cape Town, South Africa – 2007. SICOT/SIROT Travel grant to Hongkong – (Congress registration) to present accepted oral abstracts – 2008. AORTIC Travel grant (Accommodation) to Tanzania (2009). Presented 3 oral papers at the Congress. AORTIC Travel grant (Transportation) to Cairo 2011 presented a paper at the Congress. African Cancer Leadership grant (Transport, AORTIC Congress registration, accommodation and feeding) – 2013. This is to enable me attend the first class of African Cancer Leaders Institute Training taking place on the sideline during the Durban AORTIC Congress in November 2013. 11 of us Africans were selected from among an outstanding pool of 54 applicants. By the National Orthopaedic Hospital Lagos in recognition of my efforts as Chairman during the Organization of the Basic Trauma Life support workshop jointly organized by SADIA GROUP of the United States of America and the Management of the National Orthopaedic Hospital, Igbobi – 1996. By the National Orthopaedic Hospital Igbobi Lagos for helping in the Radio/Television emphasis on cancer prevention during the WHO annual Cancer day celebration – October 2008 and October 2009. By the Management of BUTH for the work done in the Ad-hoc Committee (Price Review Committee) set up to review the fees for service in the Hospital. “Our Journey towards endo-prosthetic replacement Surgery after bone tumour resection – The RESTOR Modular Resection System” – Zonal Scientific meeting of Nigerian Orthopaedic association at the Federal Medical Centre Owo, in March 2012. “Challenges in the diagnosis and Management of Cancer in Nigeria” – Annual Scientific Conference/workshop of the NOH Lagos – October 2012. “Approaching quality care for patients with Bone and Soft Tissue Tumours in Nigeria.” – A keynote address at the Nigerian Orthopaedic Association annual scientific conference in Lokoja, Kogi state. – Nov 2013. Award of excellence By the National Association of Nigeria Nurses and Midwives (National Orthopeadic Hospital Igbobi Branch) – Presented during the Nurses day celebration in October 2009. Award of excellence In recognition of outstanding performance and service to humanity over a decade. Algorithm for management of a suspicious bone lesion in a poor resource setting. Pattern of Femoral Fractures as seen at Ogbomoso. Removal of impacted Flexible Powered Rimmer from the Femoral shaft canal during Open Kuncher Nailing. Eyesan S. U. “Evaluation of Isotonic saline and boiled water in irrigation of open injuries of the dorsum of the foot” – submitted in part fulfillment of the fellowship in surgery of the National Post graduate Medical College of Nigeria – November 1993. One of the goals of writing the book is to present this relatively new specialty to our Orthopaedic Residents especially now that the new Faculty of Orthopaedic Surgery has been created at the National Postgraduate Medical College. As Professor Uwegbu has rightly noted very little time is created in the undergraduate curriculum for Orthopaedic Surgery. In the new Postgraduate Orthopaedic Training Curriculum, emphasis has been shifted to subspecialty training. This book will therefore come in very handy for the Residents in orthopaedics and General surgery, General Surgeons who want to quickly know more about bone and soft tissue oncology. Residents in pathology, radiotherapy and medical oncology will also find it useful. who have ongoing cases and those who are being followed up after prior surgery. He also sees patients referred from other Consultants and other hospitals. Chief Medical Director, Bowen University Teaching Hospital Feb. 2014 – Jun. 2018. Examiner of the part I Fellowship in the Faculty of Surgery of the NPGMC – November 2012 to date. Member of the Faculty board of the Orthopaedic Surgery of the NPGMC – November 2012 to date. Examiner of part II Fellowship in the Faculty of Orthopaedic Surgery of the NPGMC – November 2012 to date. Abdulkareem, F.B. Eyesan, S. U., Akinde O. R., Ezembakwe M. E,Nnodu O. E; Clinic Pathological Study of Bone Tumours at the National Orthopaedic Hospital Igbobi, Lagos Nigeria. West African Journal of Medicine 2007; 26:4.366 –311. Eyesan S. U., Obalum D. C., Nnodu O. E., Abdulkareem F. B., Ladejobi O. A., Challenges in the Diagnosis and Management of Musculo-skeletal Tumours in Nigeria – International Orthopaedics 2009;33:211 – 3. Obalum D.C., Eyesan S.U., Abdulkareem F.B., Pattern of Osteochondroma in Lagos. Nigerian Quarterly Journal of Hospital Medicine 2008; 18:2. 2:69-71. Falope I. Adedeji, Eyesan, S.U., “Incidence of HIV Positivity in Trauma Victims over the Age of 20 Years. National Postgraduate Medical Journal 1998;15:3.115-127. Eyesan S. U, Falope A. I. Cautionary Case of Compartment Syndrome Nig.Nigerian Journal of Surgical Science 1994; 4: 74-75. Nwadiaro C H, Eyesan S.U, Quadriceps Mechanism Rupture. Nigerian Journal of Surgical Science 1999; 9: 14 – 17. Eyesan S. U., Obalum D. C., Nnodu O. E., Abdulkareem F. B., Ladejobi O. A., Management of Giant cell tumour – A Nigerian Experience. Nigerian Journal of Surgical Science. 2007: 17: 91 – 95. Nnodu O. E, Giwa S. O, Eyesan S. U., Abdulkareem F. B, Odunukwe N. N, Fine Needle Aspiration Cytology of Bone Tumours – National Orthopaedic Hospital, Igbobi and Lagos University Teaching Hospital experience. Cytojour.4: 2007. Adegbite, O. M., Eyesan S. U., Chira M., Ugwoegbulem O. A. Acute Compartment Syndrome Following Corrective Osteotomy – A Case Report, Nigerian Journal Surgical Science. 2007; 17: 66 – 69. Eyesan S. U., Idowu O. K., Nnodu O. E., Ketiku K. K., Abdulkareem F. B. Extremity Soft Tissue Sarcoma – A Review of 19 Cases. Nigerian Journal Orthopaedic &amp; Trauma 2007; 6: 77 – 79. Obalum D. C, Eyesan S. U., Atoyebi, Ogo C. N, Day Case Surgery for Hernia in a Multispecialist Private Hospital in Nigeria –in the Nigeria Quarterly Journal of Hospital Medicine. 18, 2008; 42-44. Ugwoegbulem O. A, Eyesan S. U., Abdulkareem F. B., Fibula Head Tumours – A 5-year Prospective Study. Nigerian Journal Surgical Sciences 2008; 18:1, 68-71. Obalum D.C., Eyesan S.U., Ogo C.N., Enweani U.N., Ajoku J.O. – Concerns, attitudes, and practices of orthopaedic surgeons towards management of patients with HIV/AID in Nigerian International Orthopaedics. 2008 ISSN 0341– 2695 (online). Fadero P.E., Alabi S., Adebule G.T., Odunubi O.O, Yinusa W., Eyesan S.U. Obianyor O.D., Locked Intra-medullary Nailing for the Treatment of Femoral Shaft Fractures: Experience and Results in 19 Cases: Nigerian Journal of Medicine 2008; 17:2; 170 – 174. Eyesan S. U., Idowu O. K., Nnodu O. E., Abdulkareem F. B., Peri-operative and transfusion considerations in muskuloskeletal tumour surgery. Nigerian Journal of Trauma, 2008; 7:2; 63-65. Eyesan S. U, Ugwoegbulem O. A., Bone Cement in the Management of Cytic bone tumour Defects at the National Orthopaedic Hospital Igbobi. Nigerian Journal of Clinical Practice; 2009; 12:4, 367-370. Eyesan S. U., Ugwoegbulem O. A. Alabi E. A., Nnodu O. E., Abudlkareem F. B., Limb preservation in GCT at the National Orthopaedic Hospital Igbobi, Lagos Nigeria. Nigerian Journal of Surgical Sciences 2009;19:1, 23-26. Eyesan S.U; Obalum D.C; Onovo D;Eyo M.U; Abdulkareem F.B; Nnodu O.E; Ketiku; Clinicopathological pattern of extremity Liposarcoma. The Nigerian Postgraduate Medical Journal 2010;17:27-29. Obalum D.C; Eyesan S.U; Ogo C.N; Enweluzo G.O; Multicentre Study of Bone Tumours. The Nigerian Postgraduate Med. Journal 17:1, 2010; 23-25. Adetan O; Nnodu O.E; Eyesan S.U; Olasinde A.A; Faduyile F.A. Bone tumour diagnosis in resource poor setting – The Role of fine needle aspiration cytology – Nigeria Journal of Trauma (NJOT), 2010; 9:1,14-16. Eyesan S.U; James J.A, Salami O. O, Removal of bent K-nail – from the Femur by the use of a metal cutting saw- A Case Report. Nigerian Journal of Trauma, 2010; 9:2:76-77. Giant cell tumour. A case report from N.O.H. Lagos. Adegbite O.M; Eyesan S.U; Obalum D.C; Nnodu O.E; Adbulkareem F.B; Nigerian Journal of Trauma; 2010;9:2:63-64. Onovo D.O; Eyesan S.U; Abdulkareem F.B; Benign fibrous histiocytoma of the metarcarpal bone – British Medical Journal. A Case Report 2011.90113.1136/bcr.06. 2010:3122. 5 Cases. Nigerian Journal of Trauma; 2010; 9:2:61-62. A Review of Obesity and Orthopaedic Surgery: Critical Issues. Obalum D.C., Eyesan S. U., Febrisema F., Nzewie C, Ogo C.N., Mijinwawum M. Nigerian Postgraduate Medical Journal .19:3; 2012; 175 – 180. Olawepo A, Eyesan S. U., Oyenusi A. S. Igbinoba B.A. James T. A, Abdulkareem F.B Deep cal hemangioma in a 10yrs old girl. Nigerian Postgraduate Medical Journal .20:2; 2013; 162-164. Desmoplastic Fibroma of the Ulnar – Eyesan S.U., Kehinde G.T., Adesina, Ayeni S.C. Abdulakreem F. B. Nigerian Medical Journal. 54:4; 2013; 281-283. Obalum D.C., Eyesan S. U., Febrisema F., Nzewie C, Ugo C.N., Mijinyawa M. Pre-operative consideration in Orthopaedic Patients with diabetes mellitus Nigerian Postgraduate Medical Journal 20:3;2013; 223-227. Bilateral Femoral Osteomyelitis following veinous cut down. Eyesan S.U,Akinsorotan G.M., Obalum D.C., Itie JC, Aroh C.B. Open Journal of Orthopedics 2013, 3. Organization and Management of a Modern Accident and Emergency Unit in Nigeria – Dr. S. U. EYESAN Practicing Doctor .8. 2011; 1. T.G. Kehinde, S.U Eyesan, K.O Idowu, D.C. Obalum, S.A. Adesina, B.F. Abudulkareem, Gluteal Fibroma. NJOT Vol. 13(2) 80-83. December 2014. Akinsorotan G.M, Eyesan S.U, Obalum D.C. Itie J.C, Aroh B.C Abiodun AB,Bilateral femoral osteomyelitis following venous cut down .OJO 3(07), 306,2013.
correction of ulnar nerve paralytic claw fingers in Hansen’s disease. patients by lasso procedure JCRIM 2, 31-35, 2016.
by the gear pedal of a motor cycle RJHS Vol.4 (1) Jan/March 2016. Amechi Katehy Samuel U. Eyesan, Olukayode Oluseyi, Stephen Adesope Adesina, Babajide O. Ayandele, Ano-Edward, G.H, Non ossifying fibroma of the Rt. ● Challenges in the Diagnosis and Management of Musculoskeletal Tumours in Nigeria. ● Haemorrhage and transfusion considerations in Surgery for Musculoskeletal Tumor. ● Clinicopathological study of Bone Tumors at the National Orthopaedic Hospital Igbobi –Lagos, Nigeria. ● Bone cement in the management of cystic bony tumour defect at the N.O.H. Lagos. ● Challenges in the Diagnosis and Management of Musculoskeletal Tumours in an African Country. ● Surgical consideration in the management of benign bone Tumors – both were orally presented in SICOT Congress in Hong Kong 2008. ● British sarcoma group conference (BSG)-Glasgow U.K 19th &amp; 20th March 2009. ● Aortic biennial congress (AORTIC) – held in Dares Salam Tanzania Nov 11th – 14th 2009. Birmingham U.K Presented 2 poster presentations. ● UICC World cancer congress –Shenzhen China August 18-21st 2010. ● Memorial Hospital Mumbai (Bombay) from 23rd – 28th February 2011. ● AORTIC biennial Congress – Cairo, Egypt – Nov. 2011. ● AORTIC biennial Congress – Durban, South Africa. – Nov 2013. ● African Organization for Research and Training in Cancer (AORTIC) Morocco, Nov.19 – Nov. 21, 2015. ● (AORTIC) Education &amp; Training Workshop on Cancer Control Abuja, Oct. 19 – Oct.21, 2016. ● The Impact of the Economy on Emergency Medical Services and Training at the National Orthopaedic Hospital Igbobi – Lagos Presented at the General Management course in Topo – Badagry 1996. ● Surgical Considerations in Benign Bone Tumors. Scientific Conference of the Nigerian Orthopaedic Association in Ilorin –Kwara State -2006. ● Clinicopathological Presentation of Rhabdomyosarcoma.